Dear Friends, If you searching govt. job in West Bengal State then here is good news for you. West Bengal Public Service Commission (WBPSC) has recently published employment notification for 83 Assistant Director Vacancies. Candidates can apply for WBPSC Recruitment 2019 through online mode. The PSCWB Jobs Online Form is available from 12.02.2019. Desired and eligible candidates can fill WBPSC Application Form before on 05.03.2019. West Bengal PSC Recruitment Board is inviting candidates for filing up 83 Asst Director Jobs. Applicants who are completed Graduation in Agriculture are eligible to apply for WBPSC Vacancy. Candidates who are carry out eligibility criteria may apply to fill up online form. West Bengal PSC Jobs, Assistant Director of agriculture other information like eligibility criteria, selection criteria, application fees and how to apply is given below. 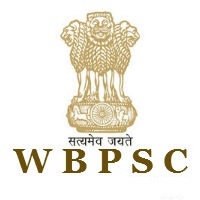 Here our team provide you all details of WBPSC Recruitment 2019. You required to check next section information carefully. Before filling WBPSC Vacancy Online Form, applicants must ensure that they fulfill or not eligibility Criteria. Our team advise to all candidates they should read given below details of education qualification and age limit. As on 01.01.2019 applicants should not be more than 36 years for West Bengal PSC Vacancy. Upper Age relaxation is also available for SC/ST/OBC/PWD Candidates. PWD applicants maximum age is require 45 years for WBPSC Assistant Director of agriculture Jobs. SC Candidates will get 05 years age relaxation while OBC (Category A & B) candidates 03 years will receive 03 years relaxation. Other details is mention on WBPSC Notification. Participants who have Bachelor Degree in Agriculture with 04 years Degree course from a recognized University/Institute. Furthermore you should check WBPSC Recruitment Notification available on given below section. West Bengal Public Service Commission has decided Selection criteria for Assistant Director Post. Here we are given details about selection procedure, application fees, pay scale etc. You can collect PSCWB Recruitment details from mention below section. Participated candidates selection will be made on the basis of Screening Test/ Written Exam. Those applicants who are qualify written exam will call for screening test and Personal Interview. PSCWB Department may fix qualifying marks of the WBPSC Vacancies in each level of examination i.e. Written test, interview and aggregate. Furthermore you should check West Bengal PSC Notification 2019. Online Payment mode through Debit Card/Credit Card or Net Banking. Applicants also require to pay for WBPSC Recruitment Convenience Fees of Rs. 5/- only with 19% GST. Offline Payment through Bank Counter : With 210/- application fees you also paid Rs. 20/- as a Service Charges. Interested and eligible candidates may apply through online mode for West Bengal PSC Recruitment. Applicants are require to follow given below steps to fill WBPSC Assistant Director Job of agriculture Application Form. First applicants should visit official portal pscwbonline.gov.in. Download WBPSC Assistant Director Recruitment Notification. Read it carefully, and then again visit to site aforesaid to fill PSCWB Online Form. Upload you passport size photograph. Fill all required details like Personal, Qualifications, Security questions and others. Upload your signature in last segment For WBPSC Vacancies. To submit WBPSC Asst Director Recruitment you should Click on Register button. Then you get user id or password on your registered mail id and mobile number. Again visit to PSCWB site and go to login panel to fill user id and password. Enter other required details to submit online form for WBPSC Assistant Director Vacancy. Applicants direct apply online through given below link. Conclusion : West Bengal Public Service Commission has announced recruitment for 83 Assistant Director Vacancy. Applicants can fill WBPSC Recruitment Application Form through online mode. The PSCWB Job Online Form is available from 12.02.2019. The last date of online registration is 05.03.2019. Here is a good news for all the candidates who are looking for WBPSC CJ Vacancy. West Bengal Public Service Commission has released a notification for 31 Civil Judge Vacancy. Applicants who are looking for WBPSC Recruitment 2017 have a chance to fill online form for Civil Judge & Other Vacancy. Applicants can check eligibility criteria after filling the WB Civil Judge Online Form. You can fill online form for WB PSC Civil Judge Jobs on or before the last date 17.04.2017. About WBPSC is known as Public Service Commission, West Bengal. WBPSC is going to conduct the Judicial Service Examination 2017. Interested candidate can apply WBPSC Online Application Form before due date. After fill the form applicants can check the eligibility criteria from given below section. Eligible candidate should be selected through Written exam & interview. For more details applicants can check given below, like as qualification, age limit, selection process, pay scale & How to apply for WBPSC Recruitment 2017. Required Qualification : Candidates should have done in Law . Applicants should have done a Degree in Law from a university recognized by Law in India. Candidates must be practicing as an Advocate in state or union territory in India. Applicants should have must read, write & speak in Bengali. For more details of educational qualification, candidate can check WB Judicial Service Exam Notification. Age Criteria : Applicants who are applied for WBPSC Recruitment 2017, minimum age limit should be 23 years & maximum age limit should be 35 years as on 25.03.2017. Relaxation in age is applicable up to 05 years for SC/ST Category candidates for West Bengal Civil Judge Vacancy 2017. Application Fee : Candidates who are belonging from General/OBC Category need to pay Rs. 210/- with service charges Rs. 5/- through debit card/ credit card/ net banking. No need to pay application fee for other category like SC/ST Candidates. Pay offline application fee RS. 20/- through bank counter. Salary Structure : Selected candidates for Gujarat High Court Civil Judge Vacancy will be paid pay band Rs. 27,700/- to 44,770/-. Selection Procedure : Applied candidate should be selected on the basis of best performance in written exam followed by Personal interview. Selection process will held in three phase i.e. given below. PSC of West Bengal will conduct Written Examination & Interview for recruiting candidates on WBPSC Civil Judge Vacancy. First of all eligible candidates will called for Preliminary examination. Pre exam will held in the month of May 2017 at Kolkata & Darjeeling. Pre exam will be objective type of Multiple Choice Question (MCQ). Candidate who are qualified in Pre Exam, then they are call for Main exam. Selected candidates after Pre Exam will called of Main Examination which will held on July 2017 at Kolkata. Finally shortlisted candidates will called for Personal Interview Round. Selection of the candidates will be made on the basis of Merit List. For more details about Exam Date, & Exam Syllabus you can check from here. keep Visit this page for future update related to WBPSC Civil Judge Vacancy 2017. Candidates log on to the official website www.pscwbaonline.gov.in. Now click on Official WBPSC CJ Jobs Notification link. Fill all the details in Civil Judge online form without any mistake. Upload scanned photo & Signature in online form carefully. Recheck all details filled in before submit online form. Pay category wise application fee through online/ offline. Taker print out of WB Civil Judge Vacancy Online form for future use. Conclusion : West Bengal Public Service Commission is going to announced a WBPSC Recruitment 2017 for 31 civil judge post. Eligible candidate can apply for WBPSC Civil Judge Online Application Form before the last date 17th April 2017.